Alice Week! New Photographs & Wonderful Giveaway! Here are the first of some of the wonderful new photographs for my ‘Why Is A Raven Like A Writing Desk?’ range, taken by Chloe Greenhalgh & modelled by Sammy Jayne! 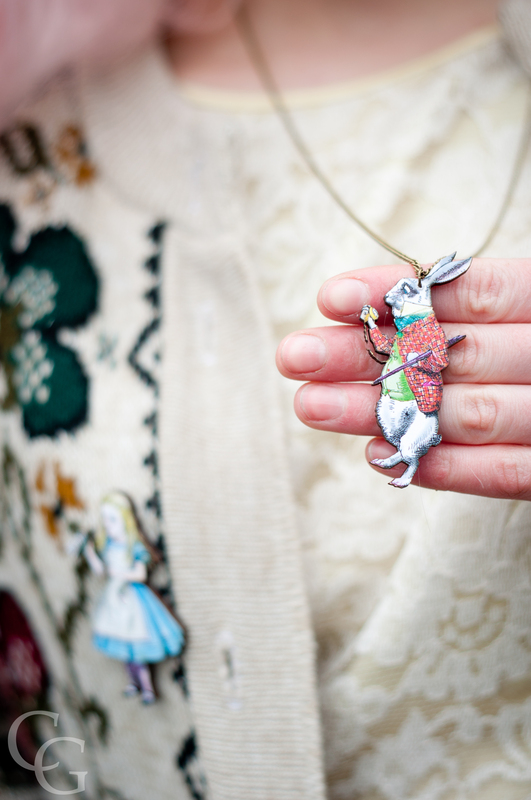 I’m holding a HUGE Alice giveaway here on the blog! The lucky winner will get a pair of silver playing card earrings, a silver teapot necklace, and a wooden painting-the-roses-red necklace! + a cute set of Drink Me tags! This is over £15 worth of free goodies! The winner will be chosen at random and announced next Saturday, so you have a week to enter! Good luck! 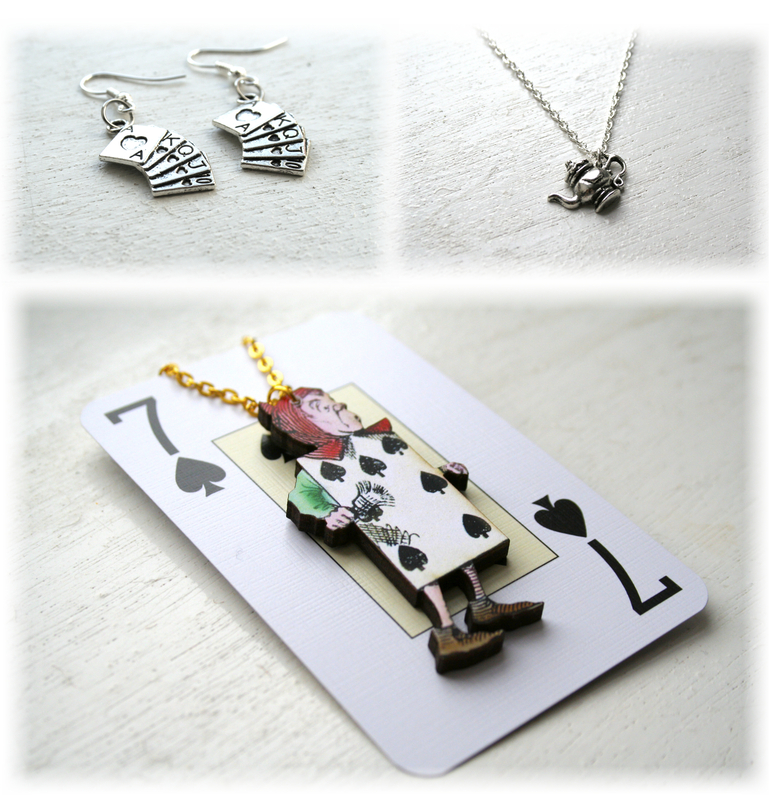 A lot of my Alice jewellery is now available on my Etsy in a new shop section to make it easier for you to find it! & head over to Handmade Monday to enjoy a whole bunch of fabulous crafty blogs! ← Alice Week! Photo Shoot! I’ve followed your blog, & liked Sammy Jayne’s Facebook Page, & my favorite character from Alice In Wonderland is the Cheshire Cat, mainly cause I love cats, but I still do love all the characters. Such lovely giveaways. I do like the bunny pendant. Hope you have a good week. Lovely makes – that teapot is so cute!! I’ve followed your blog & liked Sammy Jayne’s Facebook page & my favourite character from Alice In Wonderland is Alice! (one half of my shop). I love the whole story really. Thank you for posting this giveaway! 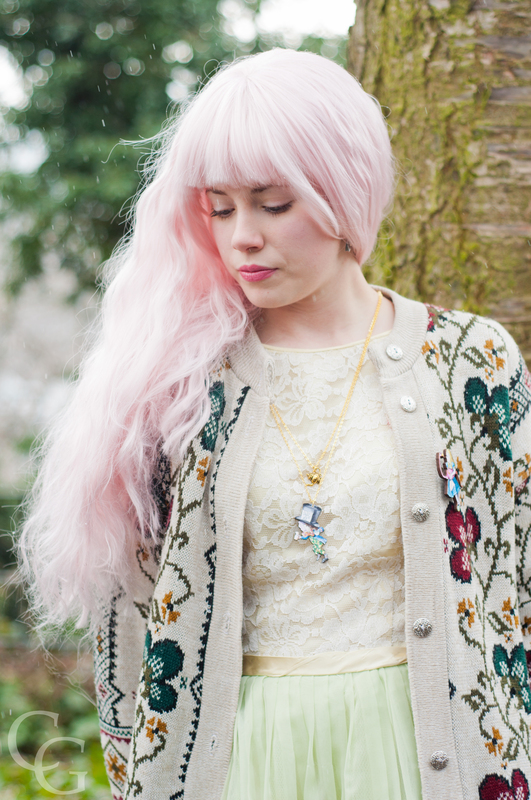 The teapot necklace is lovely. I’ve followed your blog, & liked Sammy Jayne’s Facebook Page, & my favourite character from Alice In Wonderland is the queen of hearts!